The days of boring websites are gone forever. In the past, the technical limitations of HTML coding and the slowness of most Internet connections made it impractical to provide web users with any serious audio-visual experience. A page might feature an interesting table-based layout, an animated gif or two, a link to a RealAudio file for background streaming, or a few stray flashes of Java. For the most part, audio-visual techniques were used as novelties, signs to the browsing public that the site coder was technically savvy and that the site was cutting-edge. Audio-visual techniques still indicate that your site is cutting-edge and that your coders know what they’re doing. But it’s no longer possible even to argue that audio-visual content is a novelty. With modern connection speeds, coding options, software packages and plug-ins, it’s now possible to record sophisticated video and audio presentations, to show them to your site’s audience without breaking up their browsing experience, and to do all of this without incurring prohibitive bandwidth or hosting space costs. The technology has become sophisticated enough, in other words, to let you use audio-visual techniques for their traditional purpose. You can let your customers hear your product, see your product, and form emotional connections to your product. The result? You’ll not only impress your customers, but you’ll sell more products. As nice (and as necessary) as good audio-visual techniques are for a modern web page, they still cost money to produce and to implement. So you’ll want to save yourself as much money and time as possible by planning out your site well in advance of doing any filming, recording, or page coding. With careful planning, you can not only avoid unnecessary costs and reduce the overall time from design to implementation, but you’ll have a much stronger page and a much higher conversion rate as a result. Yes, audio-visual solutions cost money. But don’t let that cost scare you away from designing the page of your dreams—at least not at first. When you’re doing any kind of creative project—and you’d better believe that designing a web page is a creative project—there’s nothing worse than dealing with an internal censor over your shoulder, telling you what to spend and what’s going to cost a lot of money. If you start restricting your ideas to what you can afford before you even really start generating your sales concepts, you’re going to lose some of your most promising and creative ideas before you get started. Suppose you’ve developed a new wireless protocol that allows easier interconnection between international networks, and you decide to promote that protocol with a grand concept Flash presentation showing people all over the world watching the same viral video. No, whispers your internal censor: think of the cost of filming people all over the world, all the different locations you’d need to film, the nightmare of editing everything down to something that’s easy to stream without boring customers or costing thousands in bandwidth alone. No, don’t even think about that concept any more. But it’s always easy to scale down an existing concept without losing the essence of the concept. Maybe you don’t need to film people all over the world–maybe you could just show your product’s logo, with the names of different countries flashing behind it in time with a simple public domain song. It’s the same basic concept, really, but much more economical. If you hadn’t had the more expensive idea first, you wouldn’t have ever gotten to the more streamlined, economical, and interesting concept that you actually can afford. Instead, you might have gone with a talking-head speech or simply a picture of the product logo–both very cheap, but not nearly as exciting or distinctive. So relax and don’t be afraid to spend money–on paper, at least. Remember: you can always find a way to communicate a concept for less money, whereas no amount of spending can make a bad concept interesting. What Is A Good Direct Sales Concept? To really use audio-visual solutions to their best advantage in a direct sales website, you need to play to the strengths of audio-visual solutions. What does this mean in practice? Imagine two direct sales concepts using audio-visual techniques. They’re both selling the same product: a lawnmower attachment, we’ll say. In one concept, the company’s owner sits at a desk and talks to you about the advantages of the attachment in terms of durability, effectiveness, and price. In another concept, we see a young boy mowing the lawn. In a series of quick cuts, we see a young man, then an older man, then a senior citizen, then a venerable grandfather–smiling as he watches a young grandchild mow the same lawn, in each case using the product. It’s just obvious that the second concept is better, but why? First: it shows rather than tells. The first concept tries to communicate the idea of durability, effectiveness, and price by giving you sales statistics and slogans. Fine–but the rest of your direct sales site should do the same, and to give this kind of information in your audio-visual solution isn’t really playing to the strengths of the medium. The second concept shows you the same ideas: the product is obviously durable if the same man can use it for his entire life, it’s obviously effective if he never switches products, and it’s obvious (although admittedly less so) that it’s a good deal since it doesn’t seem to require a lot of maintenance or replacement. Second: it provides an emotional experience. In the first concept, the owner of the company is trying to convince you to buy a product. In the second concept, we have images of contentment and family, as well as a meditative sense of reflection about the cycles of life. It’s much easier to emotionally relate to the second concept: we’ve all been young, we all will be old, and we can all see ourselves in the video. We’ve also provided the product with some crucial branding indicators without having to waste any time doing so through words or slogans. Third: it doesn’t overstay it’s welcome. The first concept would need to be at least two minutes long in order to really touch on all of the advantages of the product. The second concept, with some careful editing, could make its point in roughly twenty seconds. When your customer goes to your page, they’re probably going to look at your audio-visual components before they look at anything else. (We’ll talk about why this is true later.) If you make them watch a two minute video, they’re going to get bored and leave your page more often than not. 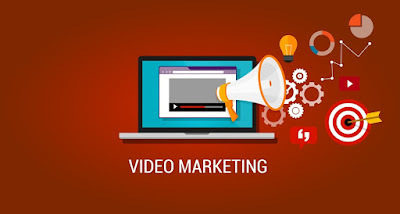 If you make them watch a twenty second video–and moreover, one that’s engaging and emotionally charged–they’re not only going to stay on your page and buy your product, but they’ll be happy to do so. Video is a quick medium: it makes its point and then moves on. Don’t bore your viewer and lose your sale in the process. Show them what your product does, get at their emotions, and then don’t waste any of their time: take them immediately to your sales letter and your ordering page. What About Other Types of Sales? Not every Internet marketer is doing direct sales. Some are selling memberships to websites, some are selling non-tangible products like software and some are marketing completely different needs like affiliate websites etc. Just because showing is more effective than JUST telling doesn’t mean they can’t work well together. The product, service or site you may be advertising won’t always make sense with a visual-only sales letter. You can still use visual effects to greatly spice up your text-based sales letters. Instead of just black text on a white background you can incorporate a logo into your background or make the text look like a certain material (wooden text while advertising furniture is a good example). You can also have your text fly in or fade out, there are a number of great effects that can be used. We’ll discuss programs in more detail later in the book but I’ll tell you right now, one of the easiest ways to make videos that are above average is to use Camtasia (very affordable) and PowerPoint (part of Microsoft Office). PowerPoint allows you to create some basic effects that are less boring than just black and white text and Camtasia lets you turn it into a movie. Once you have your big concept, it’s time to ask yourself this: what are the costs of audio-visual solutions for your sales website? If you play it smart you can make good visual and audio effects for dirt cheap. The simpler you do it the better. How much you’ll need to spend on video recording equipment depends on what you need to record. Do you really need recording? Make sure that it’s something that will benefit you before you run out and buy a camera. If your page concept requires nothing more demanding than a few video testimonials from satisfied customers or a sales pitch from a company insider, you can probably get away with a high-end USB webcam and some careful attention paid to lighting and sound. If you want to film some footage of your product being tested or used in the field, you’ll want to invest some more money in a more elaborate and powerful camera, something that gives you more interesting lighting options, or that allows you to save video information in a variety of formats. If you do decide that you need a camera (hint: unless you want to film PEOPLE talking specifically about your product, you don’t need one!) the general rule of thumb is to just go with a name brand. Any good camera probably comes with a microphone. Whether that microphone is something you want to use or not is another question. (Also if you didn’t buy a camera then you don’t even have that.) Most on-board camera microphones don’t provide you with ideal sound recording conditions and they make it more difficult for you to polish your final product. The camera microphone is usually too close to the moving parts of the camera to get a clear, uninterrupted signal, which leads to distracting audio hum and an overall aura of amateurism. So going for the cheap solution in terms of audio recording isn’t a good idea. On the other hand, there’s no real need to go for the most expensive solution in terms of audio recording. There are plenty of microphones out there designed for professional film work and for professional audio recording. These microphones are designed to eliminate all background noise, to capture audio signals in full fidelity, and to generally provide the viewer with a beautiful and captivating audio experience. But here’s the difference: movies and musical recordings are themselves the products they’re trying to sell. You’re not making a music CD for people to specifically enjoy the sound of. The only audio you’ll have will be for slight special effect and primarily to be informational. Even with the advent of commonplace high-speed Internet, most people wouldn’t think twice about sub-par audio quality from an online video; it’s far from uncommon. If you’re like me you want to save money wherever you can and avoid being in front of a camera! Chances are you won’t be shooting excellent footage anyway unless you take a few cinematography classes. A good alternative is to get stock footage online. There are tons and tons of collections of footage that range from pre-made visual effects like dazzling lights and explosions to simple stock footage of people walking or clouds passing by. www.footagefirm.com is a particularly good and relatively inexpensive resource for stock footage. Just as with video, there are a ton of online resources where you can get stock audio online. This could include background music or even sound effects. Obviously you won’t be able to get scripted dialogue as stock (though you’re free to hire a voiceover artist, you can usually find them on www.odesk.com, www.elancer.com or just by Googling it) but a lot of the background sounds that you might want in your videos can be found. A good website for stock music and sounds is http://www.freesoundtrackmusic.com which actually offers most of its music for free. Pull up Google or your favorite search engine and look for “Stock Sounds” and you’ll be surprised how many resources come up. Free vs. Royalty Free: Know The Difference! A lot of people don’t know the difference between Royalty Free and Actually Free. First, let’s explain what a Royalty is. A royalty is basically a payment that you give to the copyright holder of a work for using that work; it’s a constant payment that lasts as long as you use the work or as long as the work is making money. Musical artists get paid royalties on their songs most of the time; they might get 20% of the profit that each sold CD makes as a royalty. So Royalty Free ONLY means that you can use the material without having to pay a constant fee to the original artist. It does NOT mean that the material does not cost you any money. Usually royalty free material is actually quite expensive because of the fact you’re being able to use it without paying royalties. That being said, it’s a better solution than royalties because you can purchase it once and you don’t have to worry about the copyrights ever again (check the terms to be certain). Internet marketing is a fast-paced business and you don’t have time to worry about royalties or licenses. Avoid getting any audio or video that requires a license or royalties to be paid. All the well-filmed video footage in the world does you no good without a powerful video editing software solution. The specific product you use is going to depend on your needs, of course, and on your budget. But it’s a good idea to know something about how all of the different products on the market work, what value you’ll get for your price, what kind of options you’ll have for compressing and distributing your video–and what certain video editing products won’t do for you. If you’re recording on camera then you want video editing software that makes it easy for you to capture video from your camera and painlessly import it into a form that you can work with. Bad video editing software will make you download extra codecs, configure hardware in your operating system, or use extra third-party utilities to let your camera interface with your editing software. Good video editing software should be as easy as plugging in your camera or your mini-DV tape, waiting for the footage to download automatically, and then it’s right there for you in the editing room to do with what you will. You want video editing software that makes it easy for you to cut out footage and splice in footage wherever you need. A drag-and-drop interface is the perfect tool for this. Drag-and-drop video editing is intuitive, gives you precise control over exactly when cuts should happen, lets you visualize the finished product, and sidesteps the need for a lot of tedious timecoding, storyboarding, and other processes that give professional editors more control at the cost of time and money. There’s no excuse to use an editing package that doesn’t feature drag-and-drop editing, considering how easy and time-effective it is. If you want to make Citizen Kane, make Citizen Kane. If you want to sell products effectively and quickly, use a drag-and-drop solution. You want video editing software that makes it easy for you to add whatever audio effects, music tracks, or other bells and whistles (sometimes literally) that you need to achieve your design concept. This should also be a drag-and-drop situation. Unfortunately it can be difficult to find an editing package that gives you as much control over your audio tracks as it does over your video tracks. One good solution in a pinch is to try out Audacity, a free, open source drag-and-drop audio editor for a variety of operating systems. (http://audacity.sourceforge.net/ ) Audacity will let you take your raw audio track, tweak it however you might want, then re-import it as an mp3 or other appropriately-formatted file into your video editing package. If you can find a package that gives you good integrated audio editing as well as video editing, by all means use it, but if you can’t find a package that works for you, try this free solution. You want video editing software that makes it easy to preserve your raw footage while still experimenting with different cuts, arrangements, and music mixes. Traditional film editing is destructive, requiring an editor to physically cut the film and splice it into different arrangements. There’s just no reason to accept this restriction when you’re dealing with digital video, which after all is just data and which can be easily manipulated and rearranged. Most commercial video editing software is non-destructive, so this isn’t a huge thing to worry about. But if you see any video editing software that emphasizes memory conservation, speed, or similar features, you should double-check to make sure that the software is non-destructive. Non-destructive solutions preserve your raw footage by making a backup copy and allowing you to edit and manipulate that copy without touching the original footage. This is safer, but means that you have two gigantic movie files in your computer’s memory. Accept the tradeoff in terms of speed and memory and pick an editing solution that preserves your original data: you don’t want to have to reshoot anything just because you tried to get a little bit creative with your editing. You want video editing software that makes it easy to tweak and polish your footage to ensure that it looks as good as possible. Color correction, precise timing, control over the speed that footage plays, and the ability to hand-edit individual frames to fix minor problems are all nice features to have, are generally easy to use, and translate into a much tighter and better product in the end. The ability to color-correct shouldn’t be the major determining factor in which video editing package you choose, but if you can get it without spending a significantly higher amount of money, get it. You want video editing software that makes it easy for you to export your edited, finished footage to a variety of file formats. At a bare minimum, you want to be able to export your footage to Flash files, RealPlayer-capable files, Windows Media Player files, and QuickTime .mov files. These are by far the most common formats for viewing video footage on the web, and the more formats you can provide, the wider your potential viewer base will be. In practice, you may not need to use all of these formats for every page. But say you’re designing a site that leans heavily on Flash video effects and DHTML coding in order to achieve your concepts. You can create a great page with lots of interesting, unique presentation effects–but your potential customers who don’t use Flash can’t appreciate any of it! You might want to provide some alternate format downloads, then, just so that everyone’s on the same page. It might not be as seamlessly integrated into your page as your primary solution, but at least it doesn’t exclude potential customers. Your video editing software should give you the chance to do this if you need to. You want video editing software that makes it easy for you to achieve chroma-key effects. You may not need to use these now, but you’ll most likely want to experiment with them in the future. Chroma-key effects are also crucial to creating transparent video files, which are one of the newest and most arresting audio-visual solutions currently on the web and something that you may want to look into integrating with your next direct sales site. What’s the common denominator here? You want video editing software that makes it easy–to do everything. Programs like Final Cut Pro provide you with a high level of control over every frame of the finished product, but they can be extremely time-consuming to learn and use, and if you’re on a tight development cycle you might have to resort to paying a freelance editor to get your video editing done. Save some money by doing it yourself–find an editing solution that you can pick up quickly, use effectively, and that won’t burst your budget. First of all, let this page become your bible: http://en.wikipedia.org/wiki/Comparison_of_video_editing_software This provides you with a mostly exhaustive list of video editing packages out there, compares each package in terms of price, license options, features, date of last update, and supported file formats, and places you no more than a few clicks away from actual download/purchase pages. Assuming that Wikipedia editors do their job in a timely fashion (usually the case when dealing with pages that deal with software packages), you can expect accurate, up-to-the-minute data that takes into account any new packages that come out. As far as one-stop solutions for quick information about video editing software, it’s hard to do better than this. If you’re running a modern Windows computer, you’re on a serious budget, and you don’t need much control over your final product, you can always lean on Windows Movie Maker. WMM is bundled with Windows Vista and some versions of XP, interfaces easily with most cameras, is non-destructive, and provides final output to a variety of file formats. For many short video projects–a reel of testimonials, a series of shots of a product, or a quick demonstration of product features–it can be a good stopgap solution. But for more elaborate projects, WMM falls seriously short. The “storyboard” style editor is a drag-and-drop solution, yes, but it doesn’t allow you to manipulate the actual video “track” directly. The best you can do is assemble “scenes” in a specific order, add some audio information, export it and call it a wrap. There’s no possibility for color-correction, for tight cropping at the beginning and end of individual scenes, or advanced effects like chroma-keying or transparency. If you’ve got a simple project, try this. If you want to really stand out, though, try something else. Sony Vegas (currently at version 8) is the gold standard by which video editing solutions are measured. It fits most of the criteria on the list which started this chapter: it’s intuitive, it’s drag-and-drop, it features a high-end audio mixer, and it gives no end of options for optimizing video quality. You’ve even got a comprehensive package of effects, transitions, and software for creating titles, credits, or flyover graphics. All of this saves you both money and time by letting you do all the work you need to do to achieve your design concept within a single software package (rather than editing your video in one suite, then transferring it to another suite in order to add in effects or animations.) Add to all of this a good variety of export formats and some extra compatibility features with Sony camcorder products and you’ve got yourself a reliable, powerful, and ultimately simple solution. What’s the drawback? It’s a professional piece of software with a professional price of around $500-600, depending on where you go. If you plan on creating plenty of audio-visual content for your current direct sales project and for direct sales projects in the future, that initial investment will probably pay for itself in a reasonably short time. But if you don’t have grand ambitions and you don’t plan to do much video or audio editing in the future, you can probably use something else. You may know Adobe Premiere as one of the high-end professional video editors. With a $900 price tag I should definitely hope it’s high end! Luckily you can get all the core features that would ever be relevant to you in the form of Adobe Premiere Elements! Currently, Adobe Premiere Elements 9.0 is only $80 and it’s probably one of the more powerful video editors on this list. Finding a good video editing software package is only half of the battle. No matter how easy it is to transfer footage from your camera to your editing program, no matter how easy it is to get the chroma-key effects you want, and no matter how intuitive your drag-and-drop interface is, you’re just not going to end up with a good audio-visual project without a grasp on how to professionally edit video. This sounds a lot more frightening than it is. Editing isn’t actually hard, and once you learn the basics it can be one of the most rewarding parts of building an audio-visually enhanced direct sales site. But you’ve got to learn the basics first. These rules for editing apply across all video projects, whether it’s a three-film epic fantasy or a ten-second product demonstration on a website. There are some special conditions for the latter type of project, which probably resembles most closely what you want to do with your direct sales site. But it’s still important to know the general rules first. An editor, believe it or not, is the most important person in the production and assembly of any footage. A writer, director, or cameraman can decide what needs to be shot, decide how to shoot it, and make the actual raw footage look good, respectively. But an editor determines how you’ll experience that footage. Should you see the product for two seconds, or ten? How tightly does the flow of shots need to be tied to the music you’ve chosen? The editor looks at this footage, determines how one shot flows into the next, and controls exactly what the viewer sees and when he or she sees it. Anyone with marketing experience knows that small changes have huge subliminal effects. It only takes one shot running long, one strange transition between shots, or one botched sound effect synchronization to knock your viewer out of experiencing your tight, professional project. Don’t leave gaps of silence at the beginning or end of any individual scene. These gaps are invariably going to be in your raw footage, just because it takes a moment for the camera operator to start recording, to let the performers know that the recording is happening, and for the performers to start performing. Snip those little silences off, every time, or you’ll break up the experience and seriously bore your customer. In fact, don’t use silence at all unless there’s a very good reason for it. An example of a very good reason: you’re promoting a soundproofing product and you want to demonstrate how it completely cancels all sound. If your reason for using silence is any less critical than that, don’t leave any silent moments. You could be using that time and bandwidth to talk about your product instead. Don’t overuse wipes, fades, or other fancy screen transitions to get from one shot or scene to another. If you’ve sat through a lot of amateur PowerPoint presentations in the past, you understand exactly why this rule is here. Transitions are extremely obtrusive, break your viewer’s experience, and above all take the focus away from your product and put it onto your fancy transition. Do, on the other hand, use unobtrusive transitions. If you’re switching from a clip of a spokesman talking about product features to a clip of the product itself, have the spokesman end by mentioning the product, or just have him point off screen toward where the product presumably is. Using no transitions at all makes your presentation look too choppy and pieced-together. If you can’t think of anything else, at least announce the next scene in the previous scene, as unobtrusively as possible. Don’t try to cram too much material into too short a time. If you think of your project as a TV commercial where everything you say needs to bring up a new idea or product feature, you’ll end up coming on too strongly and you won’t give your viewer any time to think about your product or build any emotional interest in it. For every line of hard factual information, give at least one or two lines of commentary, emphasis, or illustration. If you space out your ideas a little bit (without leaving silences, of course), they’ll not only register more deeply in your viewer’s mind, but they’ll seem more convincing and his interest will be much more piqued. Be careful about how you use sound effects and audio. If you’re using sound effects to emphasize a point (for example, having a chime sound play when your presenter points to the product), you need to make sure that the effect is very precisely timed to play exactly when it feels natural to play it. In our example, if the chime plays even a second before your presenter’s finger is pointing, it’ll seem very jarring. Audio tracks playing in the background are a little bit more forgiving, but you should still try to match the pace of your music to the pace of your scene–don’t play a slow ballad over footage of a car speeding through a series of breakneck turns, for example. Don’t overuse audio and sound effects either, unless your design concept is wordless. If someone is speaking about your product (as will be the case in probably 95% of presentation concepts), let the focus remain on what they’re saying, not on your cool background music. As a rule, don’t let your presentation run on for more than a minute. If your product has a lot of features that need very precise explanation, this rule can be relaxed. But for the majority of products, letting your video go on for more than a minute–or even half a minute–won’t add much information to help your viewer make a decision, needlessly distracts him or her from looking at your actual sales letter and ordering page, and just leaves a bad impression all around. Even if you’ve got a ton of footage, don’t be compelled to use all of it: use only what makes the strongest impression, and try to fit everything into the space of a minute. If you can’t fit a shot or a scene into that space of time, consider cutting the shot or frame. Don’t move directly from the editing room to posting your video on your site. Once you think you have a good final cut, leave the editing room and give yourself at least a day. After a long time spent editing video and paying attention to every tiny cut, you lose some of your critical ability and you lose your sense of “seeing things for the first time.” If you take a day between making your final cut and checking out your completed video, you’ll notice technical problems or slow patches more easily than you could before. It’s also a good idea to let friends or family members look at your work and give you feedback on it–if they’re bored or confused by your editing choices at any point, it’s certain that your customers will be too. Bottom line: don’t waste your viewer’s time, and don’t confuse him. Make your points without leaving any silences, make sure there’s a clear progression of thought from one scene to the next, and make sure you don’t overwhelm your viewer with information. Editing is a subject far too complex to cover here in as much detail as the subject deserves. For some specific, free information on how to achieve certain effects in certain software packages, try this site: http://videoediting.digitalmedianet.com. The articles are professionally done, they cover a wide variety of editing software solutions and a wide variety of situations, and there are plenty of video tutorials to give you a really good grasp on exactly what you’ll need to do in order to achieve the effects you want to achieve. It’s not film school, but in a quick development cycle and on a tight budget, it’s hard to do better than comprehensive and free. Another good resource is www.creativecow.net. There is a TON of useful information on that website but be warned, it’s one of the less organized websites out there. Check it out when you feel you’re at an “intermediate” level. Advanced editing effects—menus, bullet points, scene titles, and elaborate backgrounds—are an excellent way to spice up your presentation, to make it give off an air of professionalism, and to let it stand out from the rest of the direct sales sites out there. Advanced effects are also cheap to produce (depending on the editing software you’re using, of course) and don’t take much of your time either. They also don’t take up much of your viewer’s time, since an effect, once it’s placed into a sequence of footage, can just stay on the screen, letting your viewer look at it at his or her own pace. It’s a nice way to get the best of both worlds: the time-independent advantages of text, plus the drama and impact of video. Because of all of their advantages, there’s a tendency on the part of first-time editors to use too many effects in a single presentation. Avoid this temptation, for the reasons we addressed earlier in the chapter. Too many effects start to get confusing for your viewer and make your presentation seem either crass or incomprehensible. What does this mean in practice? Say your product is a new piece of graphics software with an innovative GUI (Graphic User Interface). Your presentation shows a screen shot of the GUI in use. It’s easy to make overlay menus and effects, so you fill up the entire screen with them, labeling every interesting new button and feature all at once. Then you let this complicated overlay play in the background while your presenter is talking about all of the great features in this new program. The problem here has to do with the advantages of advanced effects that we just talked about. Advanced effects, especially overlay graphics, give your viewer something information-dense to look at and to read while your presenter is talking. That’s all well and good. But if your viewer is spending too much time reading and deciphering your overlay graphics–figuring out exactly what each label on each button in our GUI says, in the example—then that viewer isn’t paying attention to what your audio track is saying. You spent a lot of time on that audio track; it’s key to your design concept, and you want them to pay attention to it. So don’t give your viewer other things to pay attention to! Here’s a good way to use overlay graphics. Take the same GUI example. Your presenter is talking about the advanced features it gives you. As he talks about each feature, add the overlay graphic for that feature and that feature alone to the footage. The viewer’s attention will go to the feature; he’ll read the information in the graphic, and his mind will be back on what the presenter is saying before you know it. It’s elegant and it actually heightens what the presenter is saying, visually emphasizing his points. And once the information is on the screen anyway, you can leave it there for the rest of the speech or take it off, depending on what your concept is. Overlay special effects can be fun, but should also be used carefully. Say your presenter is talking about a new hypnotherapy CD that you’re trying to sell. The presenter throws up his hands when talking about the “power of hypnosis”, and you use your editing software to add a quick animated lightning flash. It’s definitely funny, cheesy (in an endearing way), and dramatic, but it can also get distracting if used too much. If you plan to do this kind of thing, try to avoid doing it more than once or twice per video. Chroma-key effects are a different story, since in order to include them you have to be planning to film chroma-key footage from the concept stage onward. In other words, it doesn’t make sense to say “use chroma-key effects sparingly” if all of your footage is filmed against a green screen. What you can do, however, is make sure that your chroma-key effects look as seamless as possible. When possible, try to use existing photographic backgrounds, large, crisp images of your product, or anything that doesn’t look blurry, stretched or visually distracting. And above all, make sure that you can make out your presenter or your product against a chroma-key background. There’s little worse than having your presenter’s red shirt disappear against a sunset background, or similar color mishaps. How you create your advanced effects is going to depend on how complicated your software package is and how much time you have to learn how to use it to its fullest potential. If you’ve spent money on an elaborate package, you probably have some nice options for adding overlays and titles, as well as some options for chroma-key effects. If you’re using a freeware editing package, you may need to download some additional programs in order to get the effects you want. Fortunately, some of the best advanced effects editing programs are freeware–so in some cases, two wrongs do make a right. ZS4 is a newer, freeware video editing package designed specifically for letting you add interesting effects to your footage. It can be downloaded at http://www.zs4.net/. The site features plenty of video tutorials on how to use the software to get certain effects, all of them thoughtfully arranged in ascending order of difficulty–you can either go straight through from the easiest projects to the hardest in order to learn everything about the software, or you can pick and choose from tutorials for specific effects that you want to include in your project. It’s a very nice package, will let you do plenty of effects from chroma-keying to audio synchronizing and overlay effects, and it’s very difficult to beat the price. A good tutorial on how to achieve good transparent video effects can be found here: http://www.totalwebvideo.com/hacktrap/effect/index.html There’s an excellent video tutorial that takes you step by step through the process of achieving transparent effects, from filming to software to implementation on the page. The tutorial focuses on some specific software packages that you may not have, but the same basic principles for getting the effect should apply in whatever software you use. Using transparent video effects is another story. Transparent effects are usually used to create “pop-in” advertisements that hover over the text of a page, requiring you to finish viewing the advertisement before you can go on reading your content. There’s no reason you’d want to use this on your own page: why do you want to prevent your viewers from reading your text content, which is, after all, your sales letter? In addition, pop-in ads have a very bad reputation online, irritate users, and are more often than not automatically blocked by modern browsers. So unless you have a very good, conceptual reason for using transparent pop-in video effects, it’s best to leave well enough alone. Apply the same principles to chroma-keying or place your transparent video someplace unobtrusive on your page and let yourself have the technically impressive solution without irritating your customers. So we’ve talked about planning, budgeting, finding materials, buying programs and using effects. What’s left? The rest is up to you. How you use special effects in your videos is entirely dependent on your skill level and the product, service or website you’re advertising for. You don’t necessarily have to go all out and have a TV-quality commercial just for some Internet marketing material. The general rule you want to follow is this: don’t put more time into it than it’s worth. The reason that TV Studios can afford to make $1,000,000 commercials is because they’ll make $2,000,000 in profits. The effort you put into your commercial is relative to the profits it might gain you—and maybe put in just 10% more for the sake of professionalism. Time is money, and the time you put into creating and editing your videos is a serious investment. You should never spend more than 1 hour of editing for every minute of footage you have, and that’s stretching it quite a bit. Ideally a 1-minute video would only take about 20 minutes to spice up, including the time it takes to save the file to its final form (rendering). The other thing you always need to remember is the LENGTH of your video. How long is your video going to be? If you have a 3-minute video then doing some really awesome effects will be effective and won’t be completely backbreaking (though 3 minutes is quite a bit when you realize how long advanced effects can take). 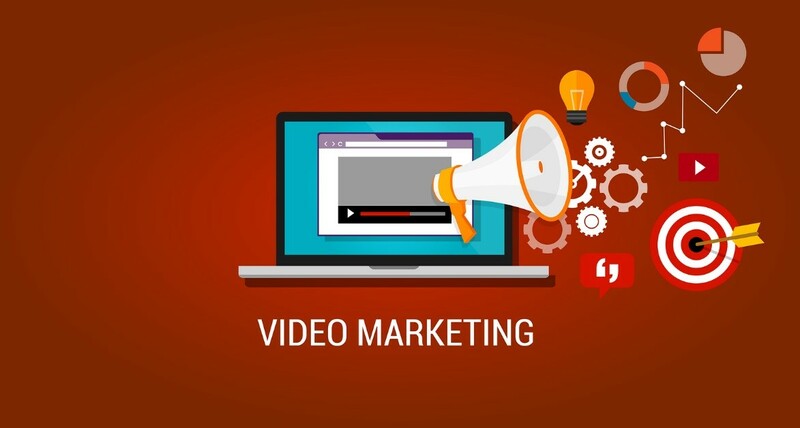 But if your video is 10 minutes or 20 minutes (not uncommon with a video sales letter) then you need to consider a simpler approach with your special effects spread out throughout the video to retain reader attention. For example, you have a 10-minute sales letter. Make the majority of the sales letter black or red text on a white background (possibly with your company logo somewhere) and then only use special effects for the headlines. Every time there’s a new, important headline you could have text fly in and lights flashing. It’s a neat effect that keeps the viewer interested but it’s only used at key points in the presentation so you don’t have to sit and edit the video for hours. You might remember just a few paragraphs ago I mentioned rendering. Rendering is the act of outputting the file to its final format that you’re going to embed into a web page or let people download. When you use video editing software you will usually be saving in a special file format for that particular software that has all of your changes and edits saved so that you can stop and continue at a later date. When you’re ready to actually make your movie you will be rendering the file to its destination format. Depending on the program this could be called exporting, publishing, rendering or sometimes it’s simply a part of the “Save As” command wherein you can select the file type you want. The most common types of files for videos are QuickTime Movie Files (.MOV), Windows Video Files (.AVI), Flash Movie Files (.FLV) MPEG Video (.MPG) and MPEG-4 (.MP4). Which you use depends entirely on what exactly you’re planning to do with the file. QuickTime Movie Files with the “.mov” extension can easily be embedded into a web page but they do require that the viewer have Apple QuickTime installed. Many people do these days but, nonetheless, you could be alienating some customers who don’t. Embedding Flash Video with the “.flv” file extension is a lot more common since most people with a modern Internet browser have Adobe Flash installed; it’s required for many popular websites like Youtube.com. Windows Video, Mpeg Video and Mpeg-4 Video are best suited for letting your users download. AVI Files have a wide variety of settings but are usually used for high-quality video while mpg and mp4 files are more compressed and use less space. There are a lot more specific factors to consider when talking about file types but it definitely goes beyond the scope of this book so make sure to do some research first. Hopefully you know have the skills required to start editing your videos and incorporating more advanced effects that gives you videos an edge over some of those other, simpler videos. Effects can be a great way to spice up your videos and keep your viewers interested. The longer your viewer stays for the video the more likely they are to buy, sign up or interact with whatever your advertising for! Go out there, have some fun and start making excellent advertising videos!